Having to trim a bird's beak sounds kind of scary, but it is a necessary procedure for some owners and their pets. Much like our fingernails, a bird's beak grows continuously throughout its life. Because of this, the beak must be constantly ground down in order for it to function properly. Normally, a healthy bird's daily activities include plenty of chewing, eating, and foraging, which help keep the beak ground down to the proper length and shape. Birds can also often be observed rubbing their beaks on rough surfaces to help the process along. Most pet birds that are provided items such as natural wood perches and cuttlebones are able to keep their beaks in good shape. However, now and then a bird's beak becomes overgrown or oddly shaped, and when this happens, a beak trim is necessary to fix it. You should never attempt to trim your own bird's beak, to do so is to risk injury to both yourself and your pet. 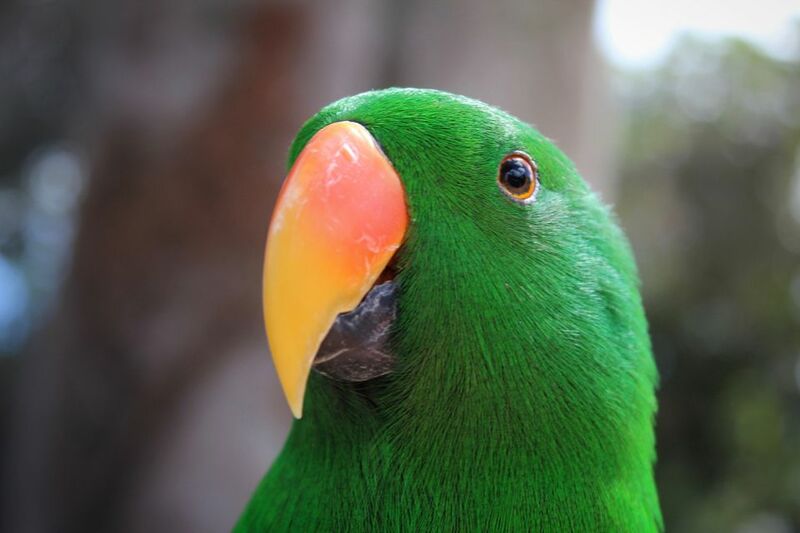 If you notice that your bird's beak looks too long, uneven, or otherwise abnormal, the first thing that you should do is contact an avian vet. Your vet will need to visit with you and your bird to determine the cause for the beak abnormality and to correct it. When your bird gets his beak trimmed, the vet will use a special file, much like a dremel tool, to gently whisk away the excess layers of your bird's beak. Filing the beak in this manner most closely mimics the natural erosion of the beak, allowing for a more natural look to the finished beak and minimizing the risk of injury to the bird. Understandably, beak trimming can be stressful for a bird. After a trim, it's best to take the bird directly home from the vet's office and place it in a quiet, familiar spot in your home. Reassure your pet, but try to avoid excessive cuddling. Most birds will prefer to be left alone for a while after enduring a trip to the vet. Provide fresh water and plenty of tasty foods, and do not allow visitors or other family members to disturb him until the next day.